Bethel, CT U.S.A., March 26, 2019: During last week’s ANTEC® 2019 plastics technical conference in Detroit, MI, SPE-Inspiring Plastics Professionals honored plastic products that meet the ultimate test of value by making our lives better in some way. The annual ANTEC® is SPE’s largest event and the world’s leading plastics technical conference. A panel of judges selected the winners of the 6th annual Plastics for Life™ Global Parts Competition from among a wide range of parts that had already won in competitions at previous SPE events during the past year. In addition, a People’s Choice award was presented to the part that received the greatest number of votes from ANTEC® attendees. 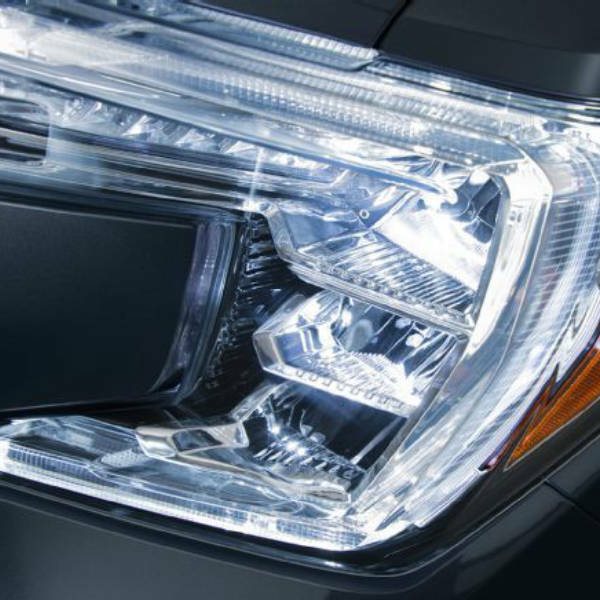 This application incorporates a new high transparency LED2245 PC used in a thick light bar to allow a sculptured ice appearance that meets a legal Daytime Running Lamp function in an automotive headlamp. The novel light-pipe design incorporates non-standard multi-shot thick molding, tooling and process to provide unique styling and function. This part required the development of a proprietary multi-shot molding process to produce a low stress PC thick light bar with high clarity and minimal material shrink and warpage. 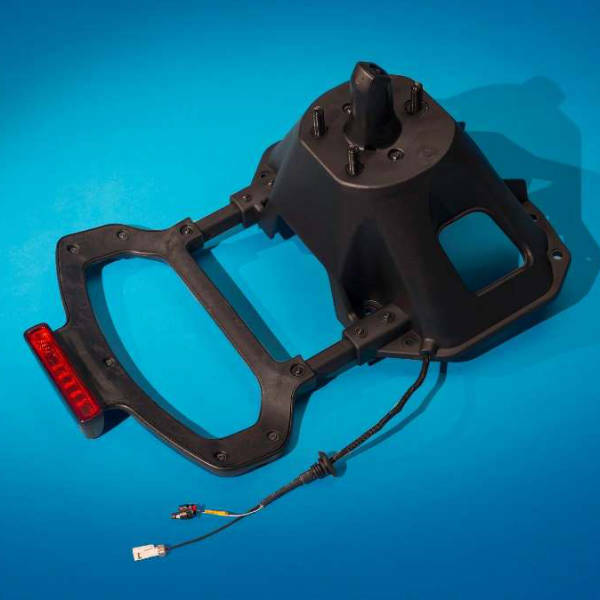 Due to the large complex shape of the part, the tooling required a modified surface and special ejection design to properly eject the thick light bar. To meet the color and optical clarity required by the product design, the resin was manufactured in a different process method than standard PC to provide very high optical clarity in extremely thick cross-sections. This new PC material from Covestro provided crystal color development to reduce yellowness in typical thick PC parts in the un-lit state. Enhanced CAE tools were required for the complex part and tooling design. Competition Winner: 2018 SPE Automotive Division Innovation Awards Gala, Quality of Life Category. ThermaPANEL is a highly efficient modular hydronic heat exchange system used for radiant heating and cooling applications. The patented turbulent flow channel design transfer 250% more energy than traditional heat exchange systems with laminar flow properties. Panels are formed and tested to be capable of holding pressure up to 50 PSI at temperatures of up to 145° F. Individual panels are interconnected using plastic pipe in a secondary process that fusion welds the panels together using extruded PE-RT pipe. The fusion welding process reduces the amount of mechanical unions or joints needed during system installation, reducing both labor and materials cost for contractors and the opportunity for mechanical joints to fail. Each ThermaPANEL unit is individually insulated in a secondary process using EPS of varying density depending on the load requirements of the application. ThermaPANEL systems are used in a variety of applications, from comfort radiant heating and cooling to snow and ice melting for egress for ground and pedestal mounted paver hardscapes. ThermaPANEL is the only modular heat exchange system designed specifically to radiantly heat or cool pedestal mounted pavers. Pedestal paver systems are quickly becoming the most popular construction method for creating amenity and utility spaces on flat roofs. These systems are used in all types of construction from residential units to commercial and industrial buildings. ThermaPANEL also replaces tubing systems for ground mounted pavers, providing highly efficient heat transfer for locations with high snow loads or intense sun exposure. ThermaPANEL doesn’t just improve quality of life, it helps protect life by providing safe pedestrian surfaces. It also helps to improve and sustain life as it can harvest solar thermal energy, reducing the need for electric or gas heaters for pools, spas, and domestic hot water. Furthermore, every component of ThermaPANEL is recyclable or reusable and is made 100% in the USA. 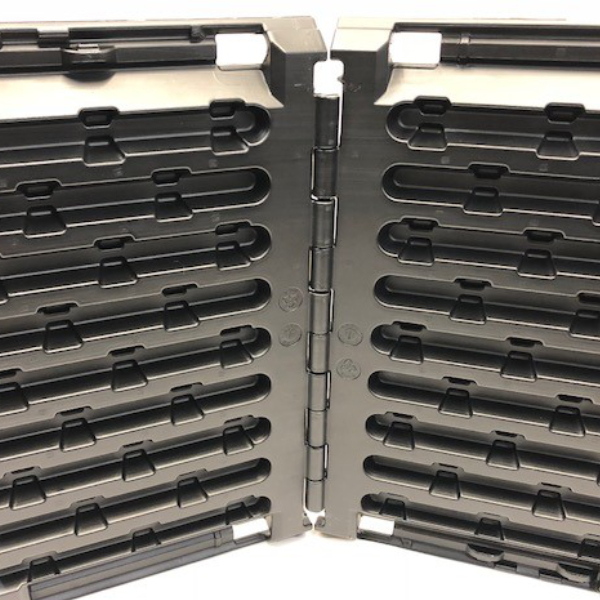 This hybrid composite technology utilizes magnesium injection molding for higher structural strength with reduced weight and polymer over molding for improved impact and corrosion resistance. A 60% weight savings is achieved compared to metal stamping and a 20% weight savings is achieved compared to die casting processing methods. A cost savings of 20% is achieved with an improved load rating from 85 lbs. to 115 lbs. The new design eliminates the need for a steel bracket for an indirect cost savings. The system makes is easier for consumer to remove and install spare tire and contributes to a reduction in noise transmission and improved impact resistance due to polymer/mg composite system. Competition Winner: 2018 SPE Automotive Division Innovation Awards Gala, Sustaining Life Category. Installs and uninstalls in minutes with no tools required. Folds and stores behind seats when not wanted or needed. 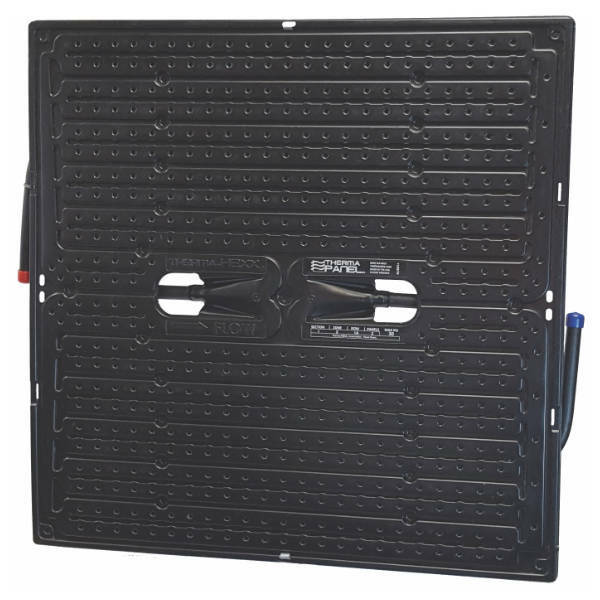 Secures items from sliding around in the bed of your truck and keeps them accessible near the tailgate. Water Resistant – provides some protection to items inside the compartment. Accommodates pickups with and without bedliners or covers. Unique, patent-pending features were adapted across the whole product to minimize additional components and reduce labor costs. Integral snap-on single molded in hinge between back to side panels. 89 oz. 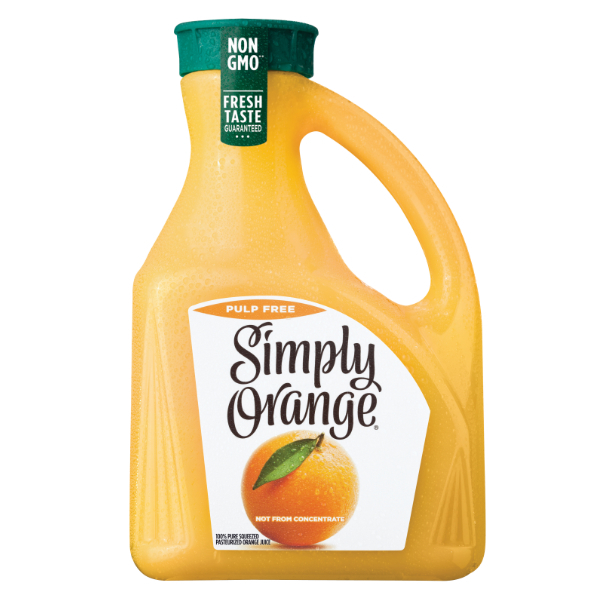 Simply Orange Juice bottle designed from the high performance PolyclearTM EBM PET 5507. Manufactured by Indorama Ventures with the collaboration with Coca-Cola and CKS Packaging. 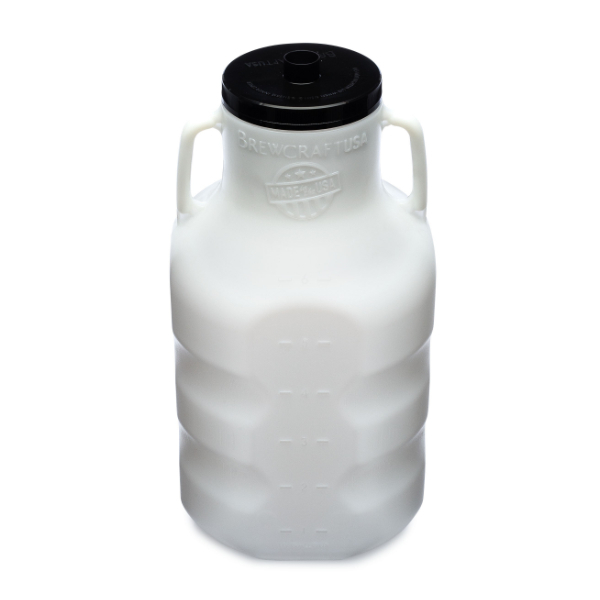 Lightweighted part- Reduction of the overall weight from previous container, made of PETG. 100% recyclable compared to the non-recyclable PETG. High gloss - Met or exceeded OEM requirements for clarity and gloss. High Impact resistance - Met or exceeded OEM requirements for drop impact. Our members needs are our passion. We work hard so that we can ensure that everyone has the tools necessary to meet her or his personal and professional goals. And, like our members, we are committed to giving back to the communities that have given us so much. Together it’s our responsibility to make the plastics world a better place by providing a forum that generates a strong awareness of issues facing the plastics community so that we can look at the solutions that will benefit everyone. Join us in bringing about real change. Together we will make a difference.